During a recent Cognos BI and Planning, 8.4.1 to 10.1 upgrade I experienced issues around using port 443 for HTTPS access to the gateway. After successfully completing the installation of 10.1, I was able to access Cognos connection via the HTTPS address fine. However, the following morning I logged back onto the client’s Windows 2008 servers where Cognos 10.1 was installed to start the migration of content from their existing 8.4.1 Cognos environment, but Cognos connection failed load! Instead I was received a ‘page cannot be displayed’ message. After checking that Cognos services were running ok across all Cognos servers and that there were no errors when testing running a test on the Cognos configuration, I tried to hit the IIS welcome page via HTTPS by entering https://<server_name> but this also loaded up with a page cannot be displayed page. I then tried to access IIS via HTTP but this loaded fine. Therefore I knew at this point that we had an issue with IIS access via HTTPS (port 443) and it looked as soon as the server was rebooted, IIS 7 was falling over on port 443. 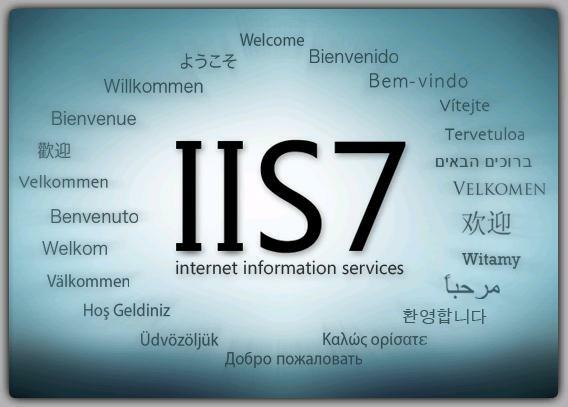 IIS 7 Welcome screen that should appear……. 1. Launch Windows Server Manager (Start menu, right click on ‘Computer’ and select ‘Manage’. 2. Expand ‘Roles’, Web Server (IIS), Internet Information Services. 3. To the right, expand the name of the server, site and then click on ‘Default web site’. 4. Under the actions section on the right hand side, click on ‘bindings’. 5. Select the entry for ‘HTTPS’ and then click on the Edit button. 7. You will need to then restart IIS services. To do this, open a command prompt and run the command: iisreset. Before you do this, you may need to run command prompt as an administrator (Start menu, All Programs, Accessories, right click on Command Prompt and select ‘run as an administrator’). Try to access Cognos Connection again via the HTTPS address and all should be well, providing there are no other configuration issues.